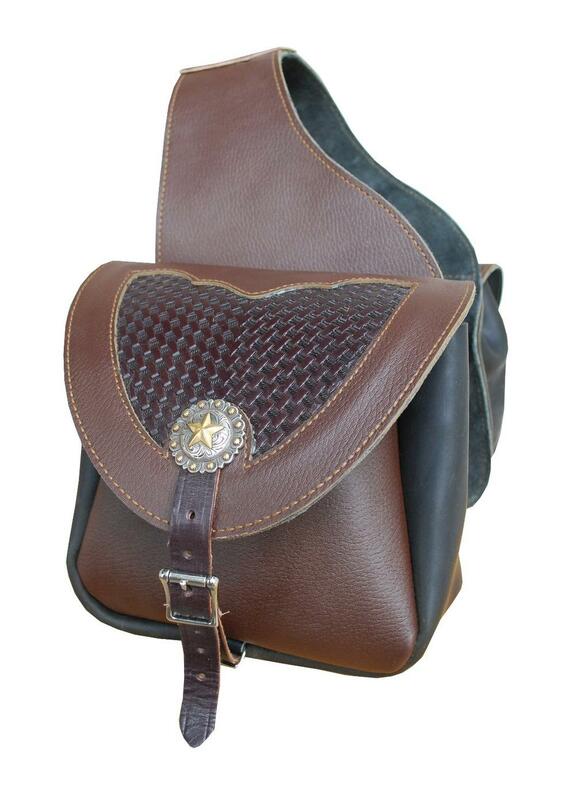 Custom saddle bags are made in U.S.A by Hickman Saddlery. We strive to make quality products for our customers. Here is a fun saddle bag for trail riders. Fits full size saddles. Buckle closures. Also working cowboy's and cowgirl's like to have something they can put their belongings in.